Bristol is a city which loves to have a party, especially in the summer! There is a huge range of events to go to during the summer months. And when the weather is good, it’s even better! 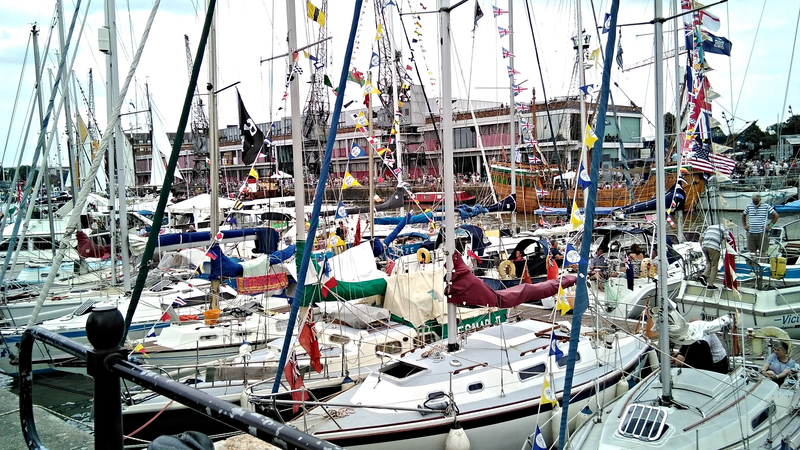 In July we have the Bristol Harbour Festival. This is a fantastic free festival, organised by the Bristol City Council with displays on the water, live music, circus performances, a huge food market plus a dance stage and theatre shows. The live music features all different types of music – reggae, jazz, folk, rock, hip hop, world music with young musicians from Bristol and other parts of the UK. There is also food from all over the world and stalls selling clothes, vintage antiques, art and accessories for the summer. St Paul’s Carnival celebrates Bristol’s Afro-Caribbean community and starts with a fantastic procession of floats with people in amazing costumes. You can experience a huge range of live acts with different types of music such as dancehall, reggae and soca to dub, calypso and drum and bass. Everybody enjoys typical Caribbean food such as jerked chicken, curry goat, rice and peas, plantain and sugar cane. Bristol Shakespeare Festival is also a great experience. There are many performances in parks, streets and even in cemeteries! Shakespeare’s language is difficult even for English speaking people in the beginning, but when you watch the actors, it is easier to understand. We also have the famous The Bristol International Balloon Fiesta, which is a celebration of hot-air balloons. There are some amazing shapes such as a Scottish bagpipe player, a pint of beer and lions, penguins, dragons have all featured in the skies over Bristol. The event also features a fun fair and a spectacular firework display on the Saturday night. Bristol is the home town of Banksy, the internationally famous street artist. Bristol hosts Upfest which is Europe’s largest street art and graffiti festival. This festival invites famous street artists from all over the world. Walls on the sides of houses and shops are prepared for a collection of huge murals to be painted all over them during this festival of street art. Bristol is famous also for its great music scene. River Town festival is about bringing the best in country, gospel, blues and bluegrass to Bristol. If you love Americana, this is the festival for you. 4 Church Lane, Bristol, BS8 4TX, UK.